Description Mounted on matboard. 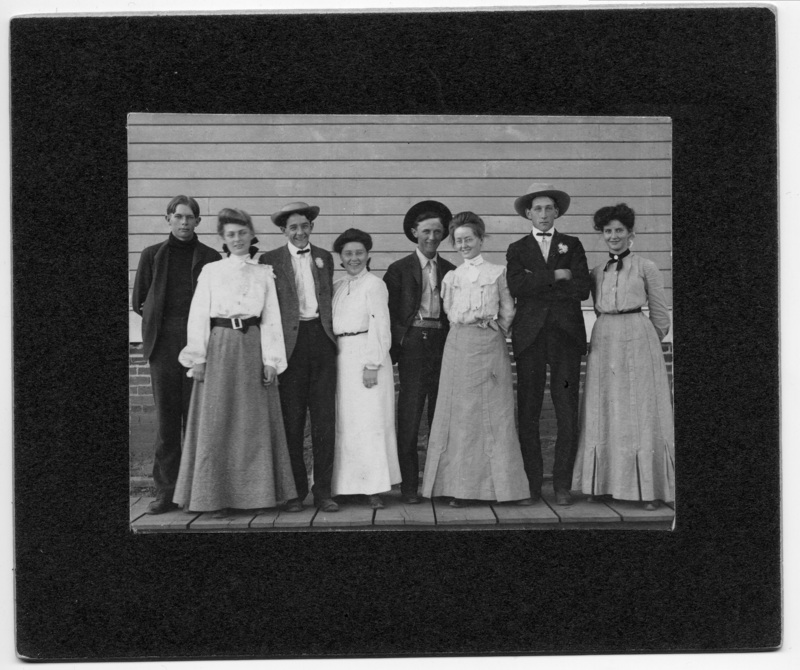 This is a group photograph of four men and four women. Edna Kingkade is third from the right and Charles Didzun is second from the right. Three of the men are wearing hats and bowties or neckties. Two of the men have boutonnieres pinned to their lapels. The women wear assorted jabots of ruffles and tatted lace. The group stands on a wooden sidewalk against the side of a building.